We are fortunate to live in Santa Barbara, its weather allows for nearly year round outdoor living. As Architects we like to take advantage of this and design homes with a great connection with the outdoor either with big areas of glass or with walls that can be folded or slid away. We prefer multi-sliders that slide away into a wall pocket, opening the interior and connecting you to an outdoor room used for dining, lounging or entertaining. This looks best when the tracks are recessed into the ceiling and floor creating a seamless material transition between interior and exterior. See how the stone flooring in the image flows from inside to outside? This leads the eye outside and “borrows” space, making the interior feel more expansive and connected with the outside world. Outside you might set your dining arrangement to create an easy flow for your family or guests to enjoy your outdoor space but within easy reach of the kitchen. Companies like Nana Wall and Fleetwood are provide high quality solutions for this type of construction. Now that you have a good indoor outdoor flow its important to provide some scale for your outdoor space. We like to consider these spaces to be “rooms” for living, lounging or dining and we design with specific uses and furniture arrangements in mind. If the area is too big your furnishings will appear to be lost in space, too little area and the space will feel like an afterthought. When you get it just right people are drawn to these spaces by their intimate quality. It’s important to define the edges of outdoor rooms with planted areas, changes in materials or with the design of the home. Our Sierra Madre project is all about connecting the interior with the exterior. 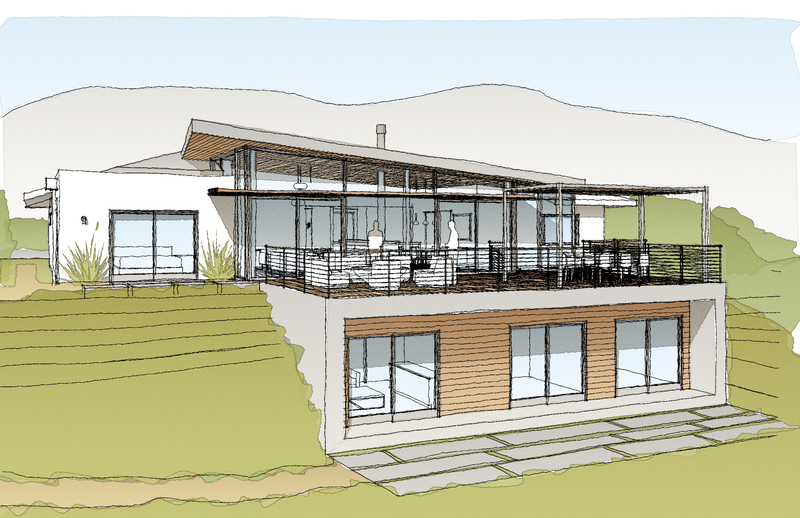 The project uses continuous flooring and ceiling materials, multi-sliders, the addition of a new deck area with shade structures and fire element to provide a great place to relax or entertain guests while looking out at the amazing view of the Santa Barbara Channel Islands. Give us a call and let us show you what we can do for you and your home! Like what we do? Give us a call and let us show you what we can do for your home!